Perennial ryegrass can be used for home lawns, recreation areas, athletic fields and golf courses. It makes an attractive lawn but does require more maintenance than some other cool season turfgrasses like tall fescue and fine fescues. Perennial ryegrass can be grown alone or in combination with other turfgrasses and it is commonly used as a nurse grass in cool season turf mixtures. In the south it is used to overseed warm season grasses such as bermudagrass. The most commonly used turfgrasses in mixtures with perennial ryegrass are Kentucky bluegrass, tall fescue and fine fescues. Perennial Ryegrass, Lolium perenne L., is a cool season, perennial bunch-type turf grass. Adapted to a wide variety of soil conditions, perennial will grow in full sun to partial shade. It is quick and easy to establish, dark green and has a fine leaf texture. Perennial ryegrass has excellent wear resistance and has moderate resistance to drought and disease. 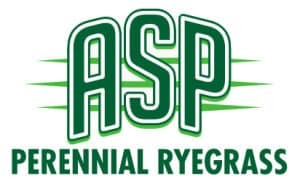 Perennial ryegrass is adapted throughout the US and Canada but acts as a annual grass in the southern areas of the United States.